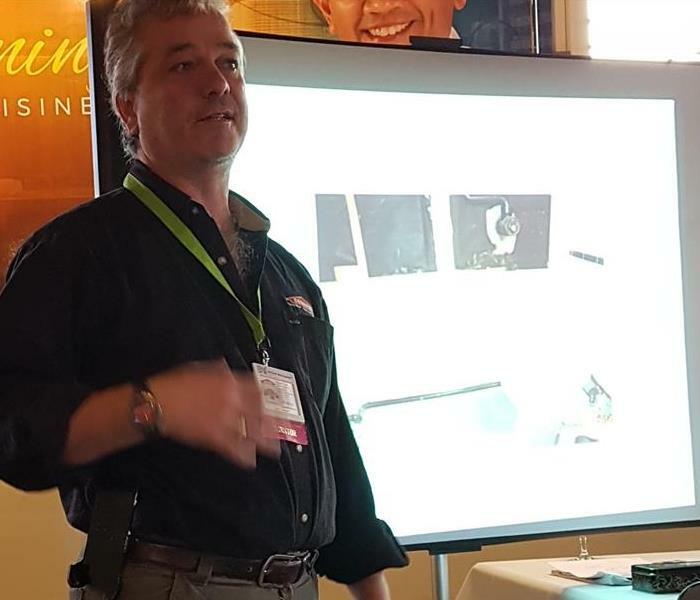 Bradley Cook gave an informative presentation to a group of 30+ local businesspeople over breakfast. Friday 26-January-2018. 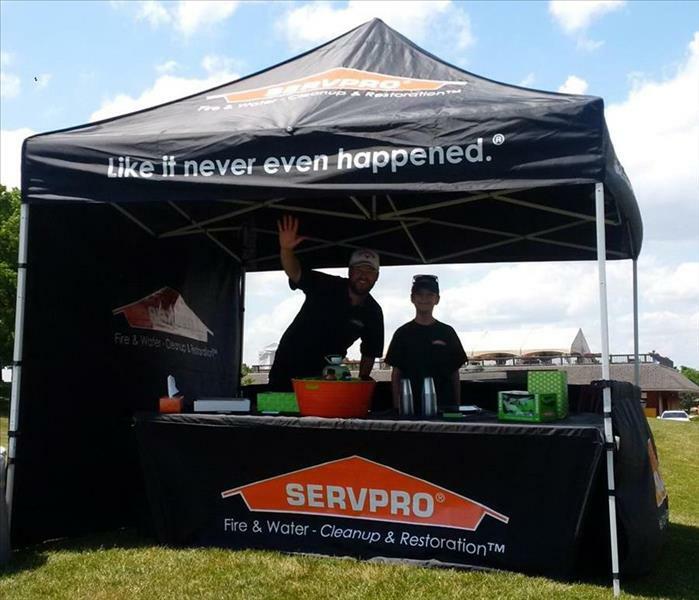 SERVPRO® of Milton & North Oakville was please to sponsor a hole at the Remax Aboutowne Charity Golf Tourney on behalf of Food for Kids. Pictured above is our Director of Marketing Fun, Alec Cook shaking hands with Claudia DiPaola, owner of Remax Aboutowne. 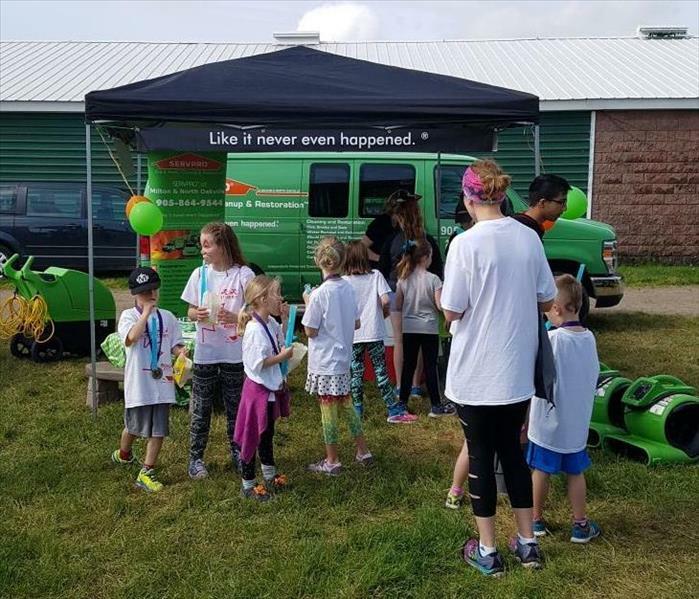 SERVPRO® of Milton & North Oakville once again sponsored a colouring contest in the kids' zone at the annual Milton Family Fun Run. 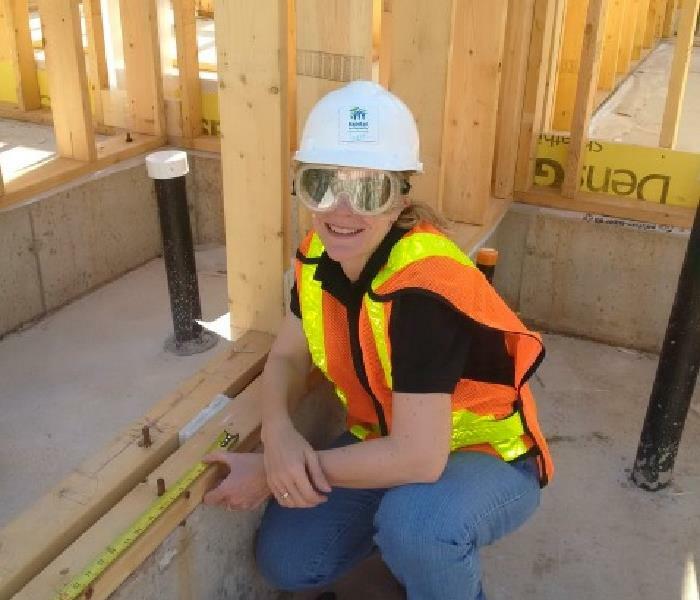 We sponsored a hole at the Aboutowne Realty charity golf tourney. 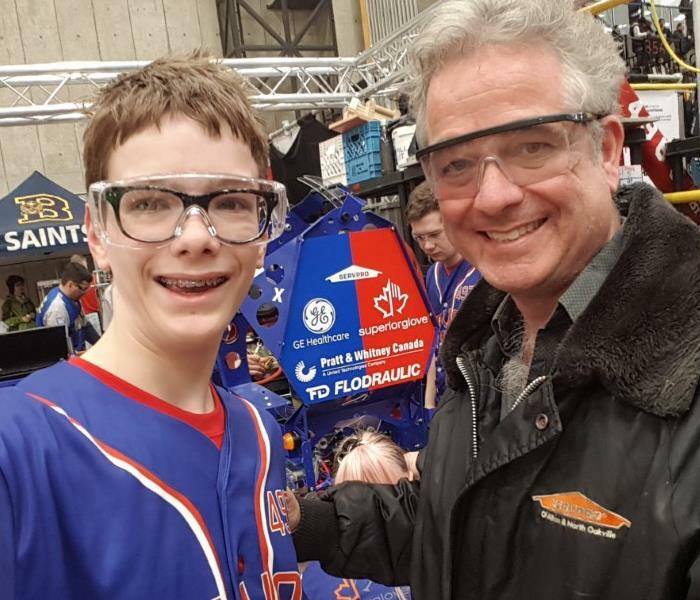 $6100 was raised on behalf of Food4Kids. 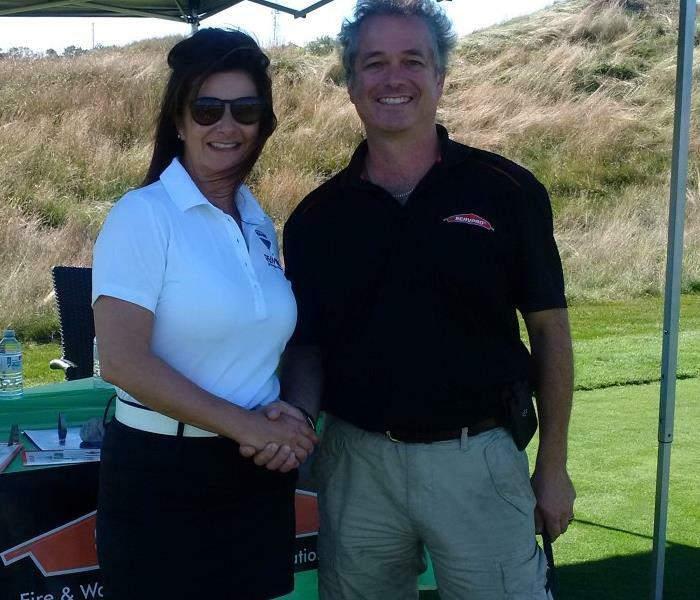 Pictured here is Claudia DiPaola, owner Remax Aboutowne Realty and Bradley Cook, owner SERVPRO of Milton & North Oakville. 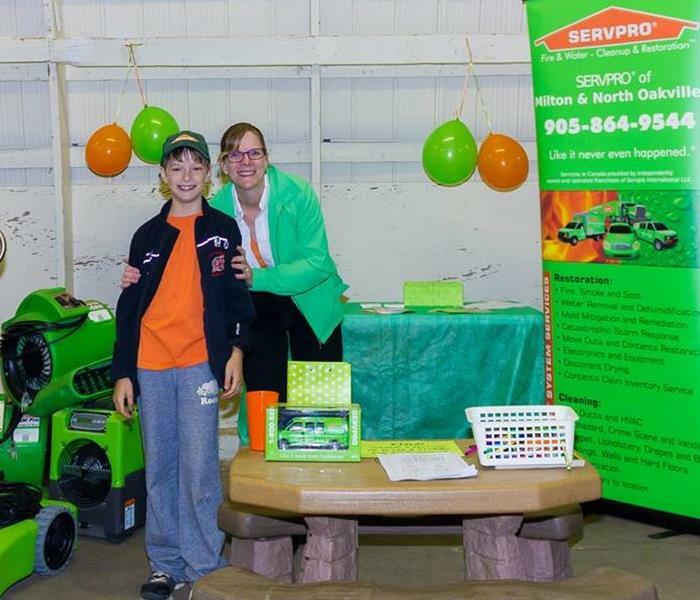 SERVPRO of Milton & North Oakville was please to sponsor the 4th hole at this annual charity event. This year OMDREB raised more than $16,000 for the Nanny Angel Network, providing mothers in the community undergoing cancer treatment with child care assistance they would not otherwise have. 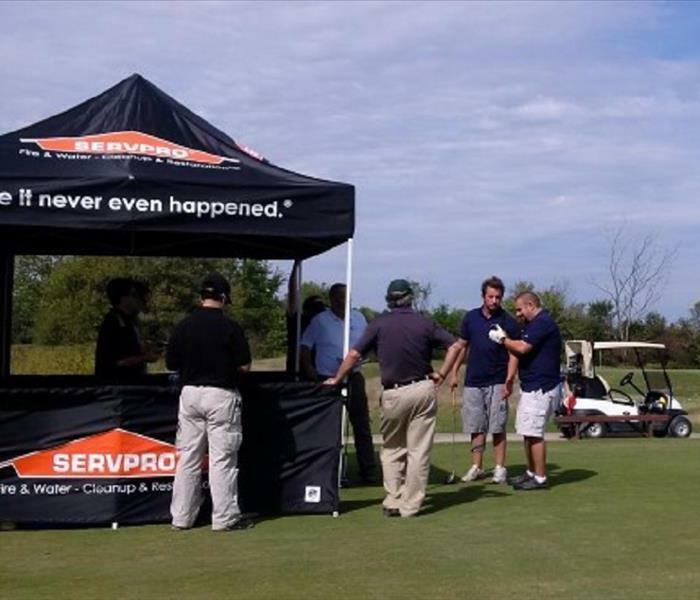 Here Alec, our Director of Marketing Communications, came to help out and explained to golfers what SERVPRO does. 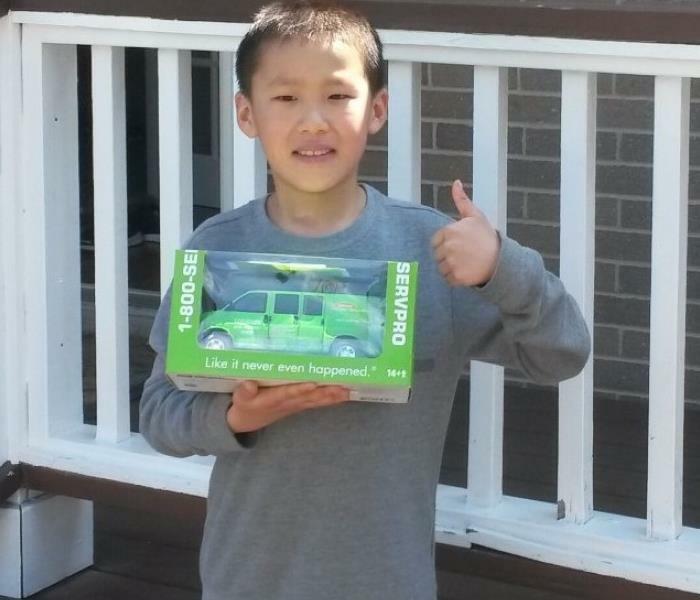 Congrats to Shangru for winning a SERVPRO truck! 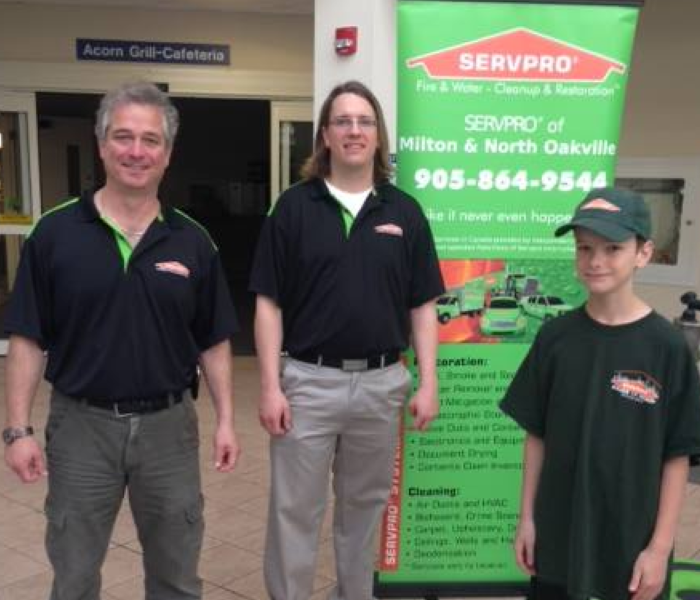 SERVPRO exhibiting at the Town of Oakville's Emergency Preparedness Exhibition. 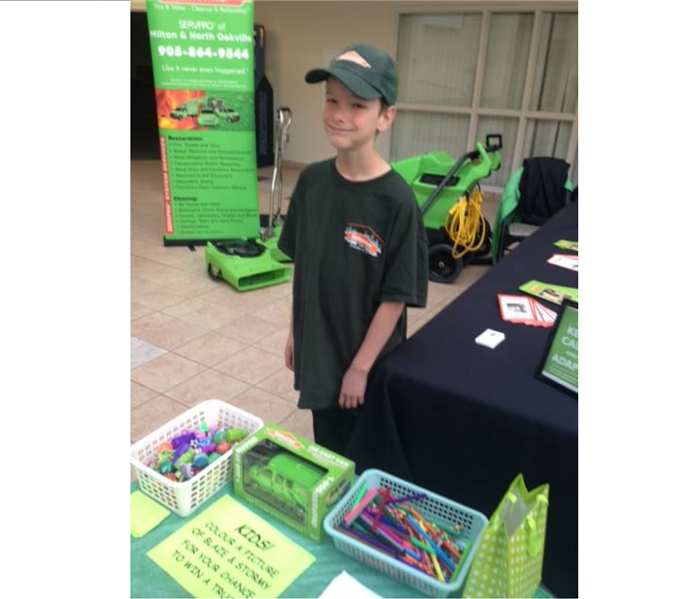 SERVPRO's youngest team member did a fantastic job of running the Kids' Colouring Contest! 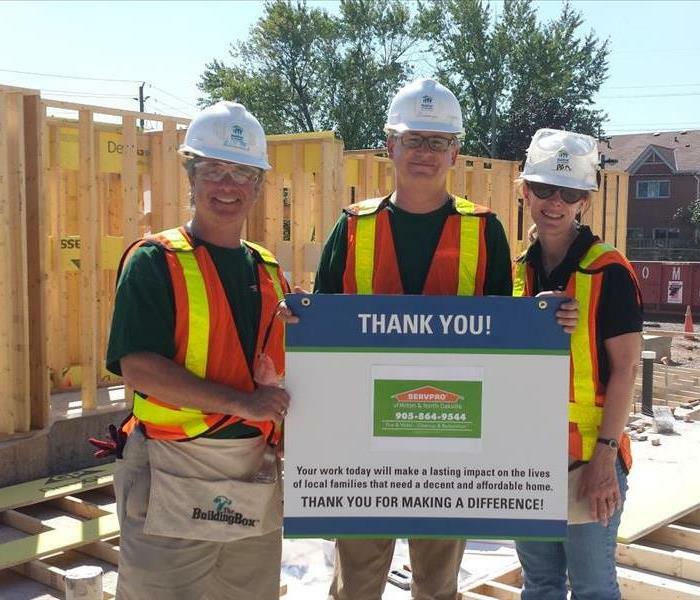 SERVPRO® of Milton & North Oakville was pleased to pitch-in at the Habitat for Humanity build in Burlington, Ontario (17-SEPT-2015). 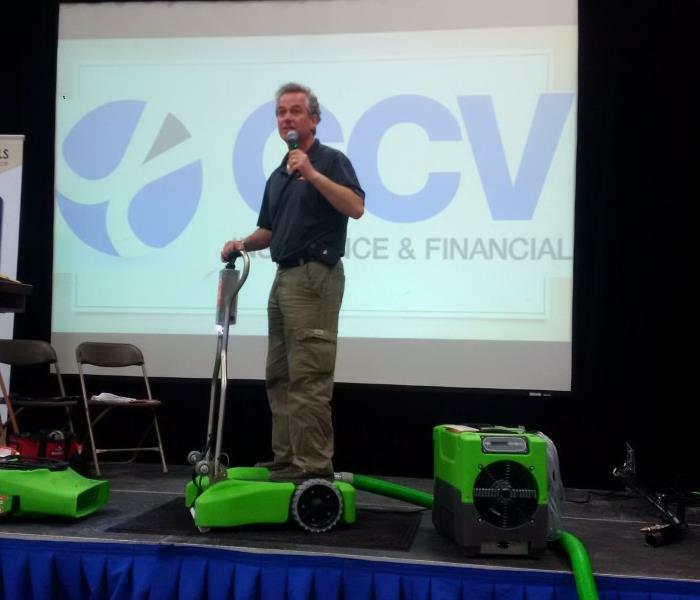 Bradley "accidentally" spills water on a carpet on the stage at the Georgetown Homeshow and goes through a live demonstration of the steps we take to mitigate the damage. 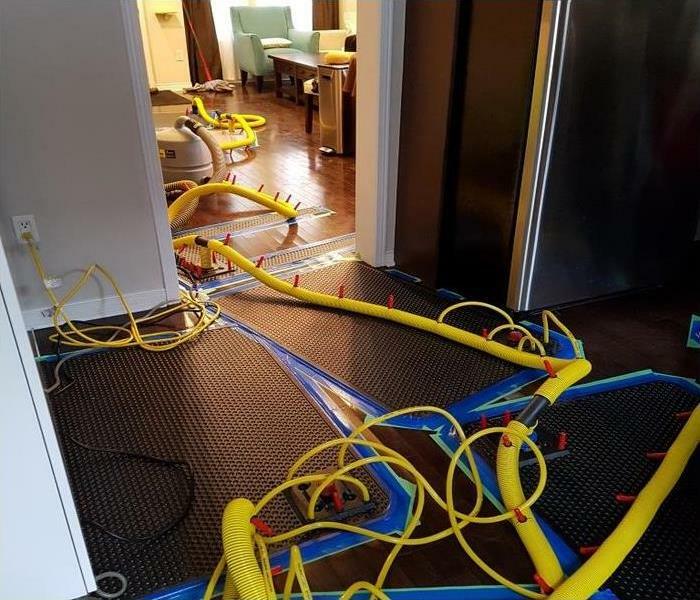 Here Bradley is demonstrating a weighted-extraction method, which allows complete drying of carpet an pad without having to go the added steps of detaching the carpet. 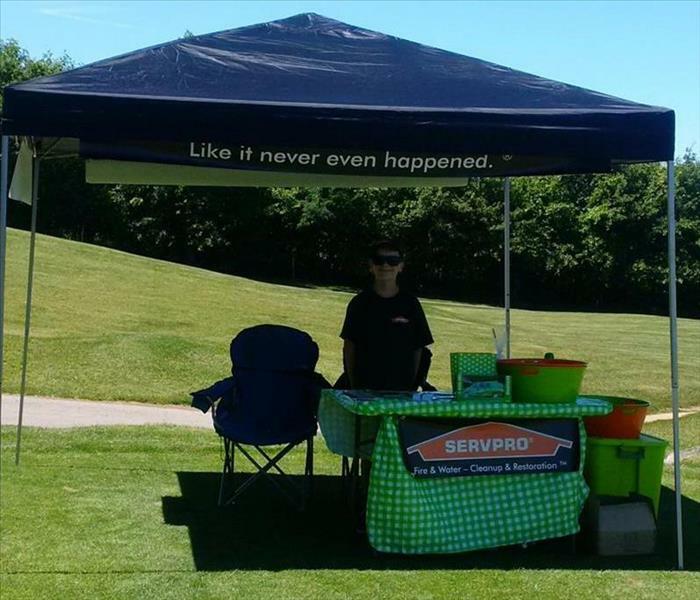 SERVPRO® of Milton & North Oakville was please to help sponsor the 13th tee at the OIAA Niagara Golf Tournament. 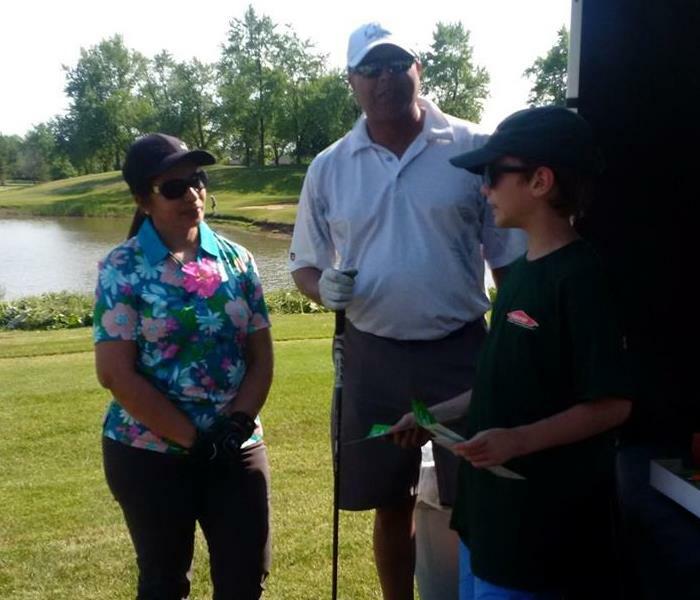 SERVPRO of Milton & North Oakville had a blast at the Cornerstone Women's Network Diamonds in the Rough Golf Tournament & Dinner yesterday! Over $1900 was raised for Cancer Assistance Services of Halton Hills!! Well done, ladies!